When you lose weight, you want to lose fat, not muscle. But most people don’t know how to burn fat without losing muscle. Unfortunately, the body will naturally burn muscle tissue when the body burns more calories than you’re consuming. Additionally, in order to lose weight, you have to burn more calories than you’re eating. So, if you create a caloric deficit in order to lose weight by cutting back on your daily caloric intake you will end up losing muscle tissue as well. In order to build muscle, you need to create a caloric surplus or eat more calories than the body burns. This brings us back to the problem of losing weight without losing muscle. Is it even possible? 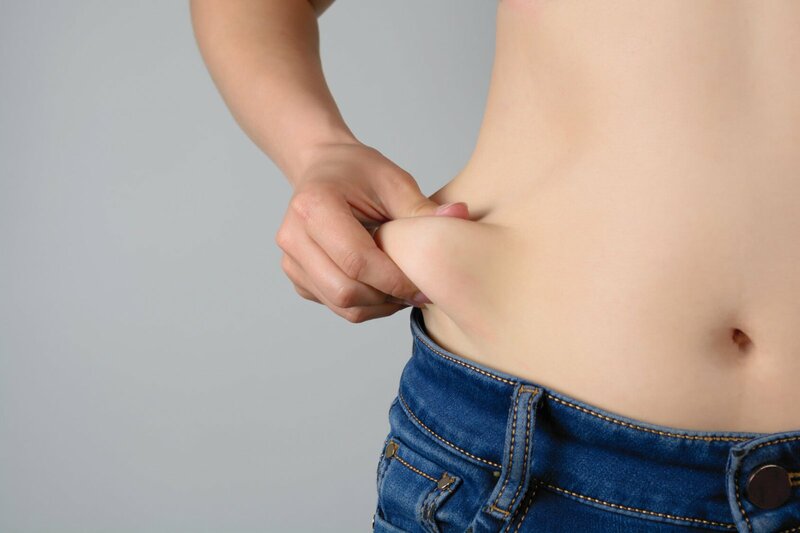 It is possible to manipulate the way muscle tissue and fat are lost during a caloric deficit by using a new way to create this deficit. If you’re simply cutting calories it’s going to result in weight loss, because of this, you’ll want to steer clear of a diet that’s too low in calories. Basically, a woman should cut back on their daily caloric intake at three hundred calories, while men should cutback around five to six hundred calories. First, you need to determine what your maintenance calories are, then reduce these calories by twenty-five percent. When we say maintenance calories, this involves the number of calories you take in that will keep you at your current weight, preventing you from gaining or losing. Slightly cutting back on your calories will help you to lose weight slowly, which can help to reduce the amount of muscle tissue you lose. If you don’t know how many calories you consume on a daily basis, then fitness trackers, such as the Fitbit Versa fitness tracker, can help you keep close tabs on exactly how many calories you’re consuming and how many you’re burning based on your activity level. This is a great and accurate way to determine how to adjust your daily caloric intake in order to enjoy the type of weight loss and muscle gains you’re looking for. To check out other leading models of fitness trackers, click here to read our buyer’s guide. The type of workouts you do during this time will be very important. Cardio is a great choice if you want to lose fat, but it can quickly lead to burning muscle tissue for fuel. Studies have shown that strength training exercises are more effective in preventing the loss of muscle mass when you’re in a caloric deficit. Unlike cardio, weight lifting will mainly recruit a couple of types of muscle fibers, which are what contribute to preserving muscle mass. A tough strength training workout will also trigger the release of testosterone and human growth hormone releases, which will help you to retain muscle as you lose weight. One of the best fitness tips for girls is to focus first on strength training workouts and cut down on the amount of cardio they do each week, especially if they’re trying to retain muscle mass. As we mentioned earlier, cardio will help you lose weight fast, but it can also cause your body to turn to muscle tissue for fuel. People who want to lose fat and retain muscle should shoot for a whole body strength training workout at least three times a week. If you’re already in shape and work out a few times a week but you’re looking for better results, then shoot for strength training sessions five to six days a week. Make sure you split up your lifting schedule into lower and upper body days. Additionally, make sure you’re working to stimulate muscle growth by performing exercises with around eighty percent or more of the max weight you can lift for one rep. When you cut your calories don’t cut calories from protein, especially if you’re doing intense strength training workouts. Protein will help you maintain muscle mass and help muscle tissue grow. Another important reason to not cut your protein intake during this time is the fact that protein can help you to feel full longer. When you cut your daily caloric intake you’ll notice that your body is craving what it can’t have. A higher protein diet can help you to easily fight these cravings. A diet that’s low in carbs isn’t required for weight loss and in some cases, it can even hinder muscle tissue maintenance and gains. However, following a two to one ratio is a great choice. To follow this ratio determine how many grams of protein you eat daily and eat double the amount of carbs. HIIT workouts include weight-lifting and cardio activities such as running or riding a stationary bike. This type of workout can help burn calories during and after a workout. It also guards against muscle mass loss. Did you know with the right rest to work ratio, a high-intensity interval training workout can even help you build more muscle? This means for every second you spend putting your all into your workout, spend just as much time taking it easy before your next bout. As an example, do two minutes of jumping jacks followed by two minutes of jogging in place. The most important form of workout recovery is sleep, which is something many lifters don’t get enough of. The amount of sleep you get can impact how to burn fat without losing muscle because poor sleep can have a major impact on hormone levels. Levels of cortisol in the body can skyrocket if you don’t sleep enough. It can promote muscle tissue loss and can even prevent weight loss. Additionally, the body experiences peak levels of the human growth hormone during sleep, which will help the body to lose weight while retaining muscle mass. Shoot for at least six hours of sleep a night. Many people who are new to lifting try to work out every day, but the body needs at least one day to heal and recover. Make yourself take at least one day off a week. If you can’t stay inactive then low impact workouts such as jogging or yoga are both great active recovery day activities. Learn what changes you can make, including new workouts, that will help to promote weight loss while helping the body to retain muscle tissue.